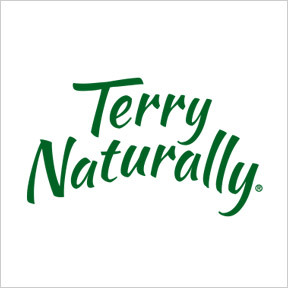 Headquartered in Green Bay, Wisconsin, Terry Naturally® brand supplements represent the very best in clinically proven nutritional products. With a passion for health and 40 years’ experience in the health food and nutritional manufacturing industries, founder and president Terry Lemerond has researched and developed revolutionary natural products formulated to have a positive impact on health and ultimately improve quality of life. With the health of people, plants and the environment in mind, Terry Naturally® sources raw materials that are stringently tested multiple times to ensure that compounds and nutrients are clean, safe and effective, as well as accurately measured and standardized. Each product is formulated and manufactured with the highest quality ingredients under strict adherence to current Good Manufacturing Practices (cGMPs). This adherence guarantees the highest compliance for manufacturing, and ensures efficacy, identity, and strength, as well as label accuracy. To ensure quality, purity and composition are not adversely affected, all products are held under appropriate conditions of temperature, humidity and light. Terry Naturally® is confident that their clinically validated nutritional supplements deliver high quality results with the hope of helping people feel their very best and live their healthiest life possible. Curamin® Extra Strength: 20% OFF This proprietary product is formulated to provide a high level of safe, effective, non-addictive pain relief without damaging side effects. Clinically studied ingredients include highly absorbable curcumin enhanced with turmeric essential oil, and standardized boswellia, a natural anti-inflammatory, vascular supporting and pain relieving botanical. Soy-based nattokinase helps support circulation, especially important for proper nutrient delivery and effectiveness. No sugar, salt, yeast, wheat, gluten, corn or dairy. Free of artificial coloring, flavoring and preservatives. AnxioCalm®: 20% OFF This fast-acting clinically studied proprietary formulation provides symptomatic relief for occasional anxiety, everyday stresses, nervous tension and restless sleep. Safe and effective, AnxioCalm® offers support when needed without drowsiness or mental fogginess. The main ingredient, Echinacea angustifolia (EP107), is grown in controlled conditions without synthetic pesticides or herbicides and is gently processed using hexane-free extraction procedures. Independently tested for purity, heavy metals, pesticides and microorganisms. No salt, yeast, wheat, gluten, corn or soy. Free of artificial coloring, flavoring and preservatives. Non-GMO formulation. Artery Strong™: 20% OFF This synergistic formulation provides highly bioavailable forms of fat-soluble vitamins A, D3 and K2 in support of cardiovascular health, blood vessel elasticity and arterial wall strength, as well as healthy blood pressure already within the normal range. No sugar, salt, yeast, wheat, gluten, corn, soy or dairy products. Free of artificial coloring, flavoring and preservatives. Tri-Iodine®: 20% OFF Formulated for a wide spectrum of health benefits, Tri-Iodine® provides three beneficial forms of iodine to nourish multiple body systems, as well as assist detoxification of environmental stressors. Potassium iodide and sodium iodide aid hormone balance and immune health, while molecular iodine supports breast, prostate, uterine, colon and cellular health. No sugar, salt, yeast, wheat, gluten, soy or dairy products. Free of artificial coloring, flavoring and preservatives. Non-GMO vegan formulation. Bronchial Clear™: 20% OFF This proprietary formula provides clinically studied synergistic ingredients shown to provide soothing support for healthy bronchial airway function. Ingredients include calcium, standardized thyme leaf extract and standardized climbing ivy extract. No sugar, salt, yeast, wheat, gluten, soy or dairy. Free of artificial coloring, flavoring and preservatives. Non-GMO, non-drowsy, non-jittery, non-habit forming formulation. If pregnant or nursing, consult a healthcare practitioner before use. CuraMed® 750 mg: 20% OFF This high potency proprietary complex provides clinically studied patented curcumin blended with turmeric essential oils that contain beneficial turmerones. Patented technology provides enhanced absorption and sustained retention at meaningful levels in the body in support of liver, brain, heart, immune and cellular health, as well as a healthy inflammatory response. One softgel provides 500 mg of pure curcuminoids. No sugar, salt, yeast, wheat, gluten, corn, soy or dairy. Free of artificial coloring, flavoring and preservatives. Non-GMO, Halal formulation.